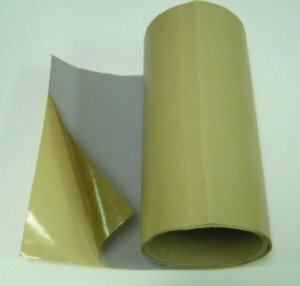 These sheets are manufactured from non-stick ultra pure virgin PTFE and are used as a top for work benches, industrial gaskets, wear surfaces, drainboards, sinks and shelf liners. They are non-porous and non-absorbent and therefore will not retain odors. Easily bonded with #RBRS-32 Rubber Cement for semi-permanent and use #GSI-100 with #PP-50 Polyprimer for permanent bonds. The surface must be wiped down with the Polyprimer. If you require etched one side sheets, longer lengths and/or volume pricing please call us at 1-800-331-7724 or email us at sales@scicominc.com. Product meets FDA 21 CFR177.1550, ASTMD3308, D3294 . Temperature rated to -350°F to +500°F. Manufactured in the United States. If you have any questions about this product by Scientific Commodities, contact us by completing and submitting the form below. If you are looking for a specif part number, please include it with your message.